As long as there has been art there have been those who are critical of it, or downright hostile towards it. And there have always been those who have been, shall we say concerned. Plato is one of the first who expressed this sentiment (at least in preserved writing), as he worried, for example in The Republic, about the effects art might have on people, that it might confused them and dull their senses. That has since become a long, apparently endless, tradition and it naturally embraced film as well when it appeared some 120 years ago. Today it can be experienced everywhere. One kind concerns accuracy and was discussed recently by Nick Pinkerton in his excellent Film Comment column Bombast, where he wrote about "the “expert” op-ed, in which the facts as given (or elided) by the movie are scrupulously compared to the known historical facts, and as often as not found wanting." i.e. he was criticising those who cannot accept that films based on historic events are not 100% accurate with regard to the particular historic event. It is after all an impossible demand to make of a film that everything in it should be exactly as it was in real life. This can be a tricky subject, as sometimes filmmakers take too many liberties and it is a subject for a later blog post, but for now it will suffice to say that it should not be demanded of art that it only deals with the unambiguous facts. Art is different from facts, there are other criteria involved, and critics of all people should understand this. A film, even when based on a true story, is a work of fiction, and should be treated as such. But, as I said, there are complications. What is more straightforward are films not based on true stories. Yet they too are often criticised for not being real enough. A typical example is headlines like "What X gets wrong about Y", which are produced on a daily basis. They are hardly ever meaningful because the purpose of film X is not to get Y right, whether Y is sheep farming, space travels, university studies, open heart surgery or bowling. X wants to tell a story, and what matters is the interior logic of that story, or that world, not whether it gives an accurate description of our own, non-fictional world. They are not the same. For another example take Brigadoon (Vincente Minnelli 1954), set in Scotland. It has often been criticised for not giving an accurate view of Scotland. But it is a fantasy musical; of course it does not give an accurate view of Scotland. Why should it? Also, what would an accurate view of Scotland be? Is there even such a thing? If you go to a conference, or attend a dissertation discussion in a university seminar, you will soon notice that the most common question is "Why did you not talk/write about something else instead?" Of course the question is rarely put as bluntly as that, but the sentiment of it is that, and only that. (The answer is of course always "Because I wanted to talk/write about what I talked /wrote about." but, like the question, the answers are rarely as blunt.) It is also a question that is frequently raised towards filmmakers as well, not least if a film is set in the past. "Why did you make a film about the Second World War when there are wars happening today?" or "Why make a film about Martin Luther King when racism is still with us today?" (An article in The Guardian asked that very question.) Underneath the question is often an accusation that the filmmaker is a coward, trying to hide from the "real" problems by making a film set in the past. Sometimes the same question is raised when somebody makes a film set in a country other than the filmmaker's own country, again with the same undertone "By making a film about problems in country X, are you not implying that your own country is flawless?" But these are again unreasonable demands, similar to asking a history teacher "Why are you talking about the past? We have problems today you know." As a filmmaker you are under no obligations, you must be free to make films about whatever you want, and making a film about the past might in any event be a way of contextualising something that is still with us today, using the past to illuminate the present. Neither is it the case that the film in question is the only film being made. So another answer might be "Well, I chose to set my film in the past/in another country because many other films deal with that which interests you." Assorted conservatives and right-wing economists do occasionally ask about the education system why it is wasting time and money on teaching arts, philosophy or history, instead of something “useful and productive” but when it comes to art such questions are more commonly asked by those leaning left. Many on the left seem to feel that art, not least films, should have an obvious, concrete, social utility such as raising awareness of oppression or righting some wrong. "What is the point of art which does not criticise individualism?" an art critic wrote fairly recently, and well. quite a lot is the answer to that one. In the 1960s Ingmar Bergman was criticised by the young left on similar grounds, and for being a bourgeois filmmaker, allegedly uninterested and unconcerned by the problems at the time. (When he made Shame (1968), dealing with war and the disintegration of society, he was criticised for that too, for having the wrong view of these matters.) But, to quote from Lionel Trilling's defence of Nathaniel Hawthorne in the essay Reality in America, "If what Hawthorne did was certainly nothing to build a party on, we ought perhaps to forgive him when we remember that he was only one man and that the future of mankind did not depend upon him alone." It has been a growing tendency the last few years to criticise films without having seen them first. There were for example a number of articles about American Sniper (Clint Eastwood 2014), and all its supposed flaws, written by people who had not seen the film, and were not shy about admitting as much. It is clear though that these people had no real interest in either films or politics, their interest was to get published, and that is something they probably have in common with most of the people making these impossible demands on films. A spot in the limelight is worth more than coherency and integrity, especially if the spotlight is a fronted article in the Guardian, Slate or Huffington Post, and we all have to make a living. But let’s not pretend that we are doing it for art’s sake. To like some films, or some kind of films, and dislike others, that is one thing but as soon as you start making demands on films, on art, that it must do this or be about that, you are in the wrong. Art must be free, unconstrained, or it risks becoming tendentious and self-righteous. Related to this is the Bechdel test, and I have earlier written about my dislike for it, here and here for example. See also my earlier post about Zero Dark Thirty (Kathryn Bigelow 2012), here. 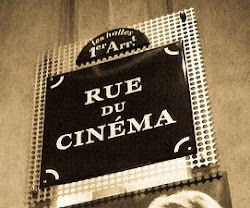 I had originally included other examples of problematic attitudes towards art, such as those who are afraid of spoilers and those who hunt plot holes, real or imaginary; I save that for another post because while they can be troublesome and sometimes endanger a healthy discussion about cinema, they are of a different kind. And I have written about the anti-spoiler culture before. The trend of passing moral and/or political judgment on a film you haven't seen - at best, based on its trailer - has become a real plague. I blame Glenn Greenwald, who wrote an op-ed attacking ZERO DARK THIRTY before he'd seen it. Of course, once he'd seen it, his criticisms were even more vociferous - who could back down after all that anger? Spike Lee and DJANGO UNCHAINED was another dubious moment, especially given Lee's history of making controversial films that white conservatives have misread. You'd think he'd give another filmmaker the benefit of the doubt, at least to the point of actually watching his film and criticizing it afterwards. Maybe I'm now making the same mistake as those who refused to watch American Sniper by not reading your post on the Bechdel test... But could not the general results that such tests give suggest that a lot of movies that are made today are in fact not free? In this case not free of a structure which often promotes men and masculine perspectives? But regardless of what people claim, most mainstream films actually pass the test. Close to 70% from the last couple of years according to bechdeltest.com, and it's safe to assume that even more pass. Alas, this does not mean 70% of all mainstream films are feminist, featuring good, strong, female role models.